LEAGOO M8 PRO at $69 Features Dual Rear Cameras, 5.7” Screen, 1.3GHz Quad-Core Processor - Playfuldroid! 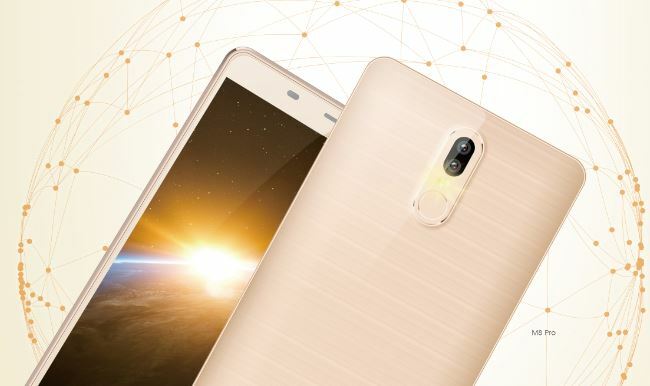 The LEAGOO M8 Pro is cheaply priced smartphone that is equipped with dual rear cameras. It is available with a pricing of $69 only on Light in the box. The LEAGOO M8 Pro is a phablet device that features a 5.7-inch IPS screen that supports HD resolution of 720 x 1280 pixels. The MediaTek MT6737 chipset featuring a quad-core processor working at 1.3 GHz powers the M8 Pro along with 2 GB of RAM. The native storage provided on the M8 Pro is 16 GB. 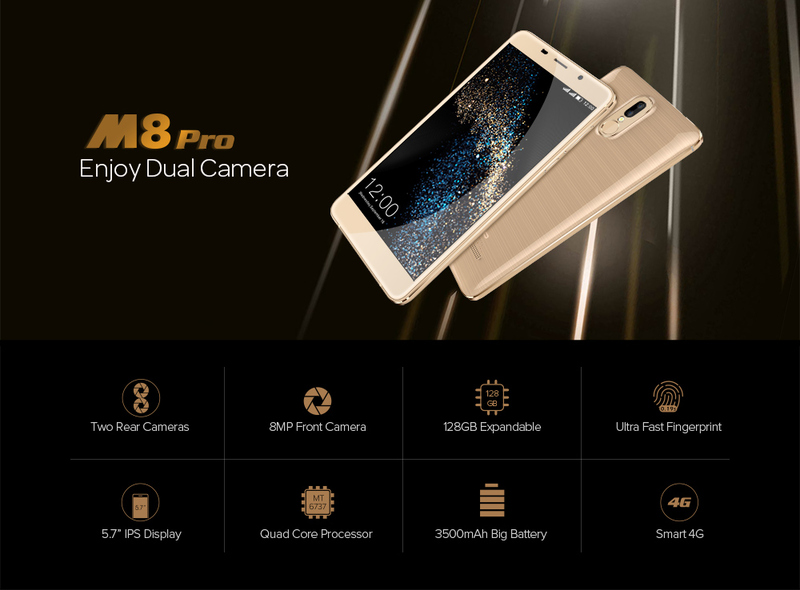 One of the bestselling features of the LEAGOO M8 Pro is that it features a dual rear camera module which includes a 13-megapixel sensor and a 5-megapixel sensor. The front-facing camera of the M8 Pro is 8-megapixel. The smartphone comes loaded with Android 6.0 Marshmallow OS. It is packed with a 3,500mAh battery. The rear side of the phone feature a fingerprint sensor and it is equipped with Awinic Hi-Fi audio chip that delivers ultra-low distortion audio experience. It is available in Titanium Grey and Champagne Gold color options on the retailer site. LEAGOO is providing a premium headset, a leather flip case, a protective TPU case and a tempered glass screen protector along with LEAGOO M8 Pro smartphone.